The secret to living happily is to not look at the morning as just another morning that has sprung up due to the rotation of the earth. Happiness will come when you believe that this day you will create and experience something beautiful. One of the best things in the world: when someone you love hold your hand. 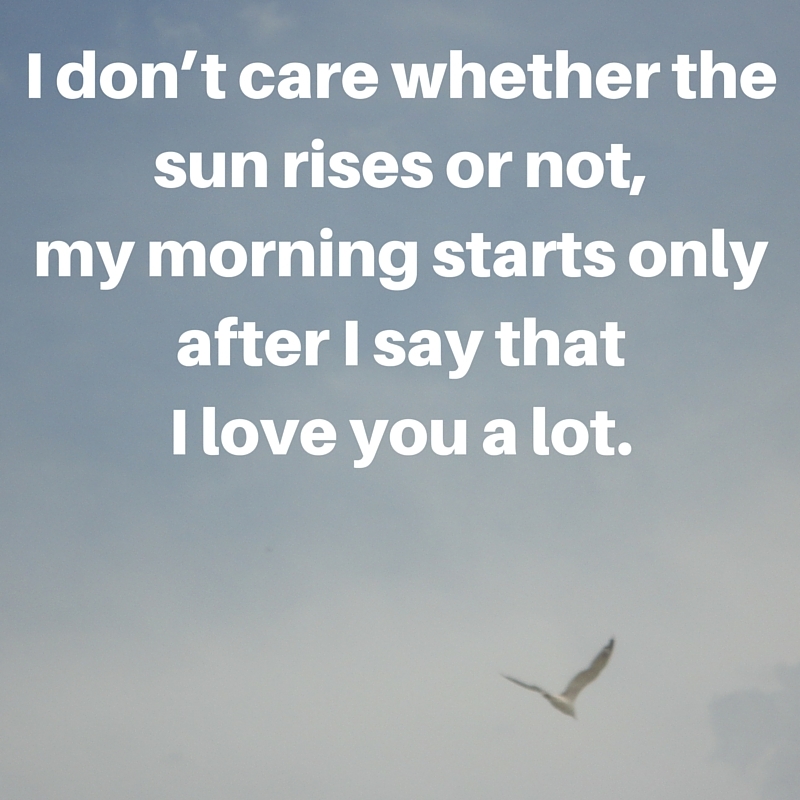 So wake up and lets welcome this day with love Saturday morning Good morning Love! Good morning to the love of my life. ← I will always love you with all my might.